The Music City Head Race, hosted by Nashville Rowing and Vanderbilt University on Saturday October 1st, 2016, garnered over 185 entries across 20 different teams in it's first year of existence while also creating quite a buzz in downtown Nashville as the race finished in front of Broadway and the Titans Stadium. 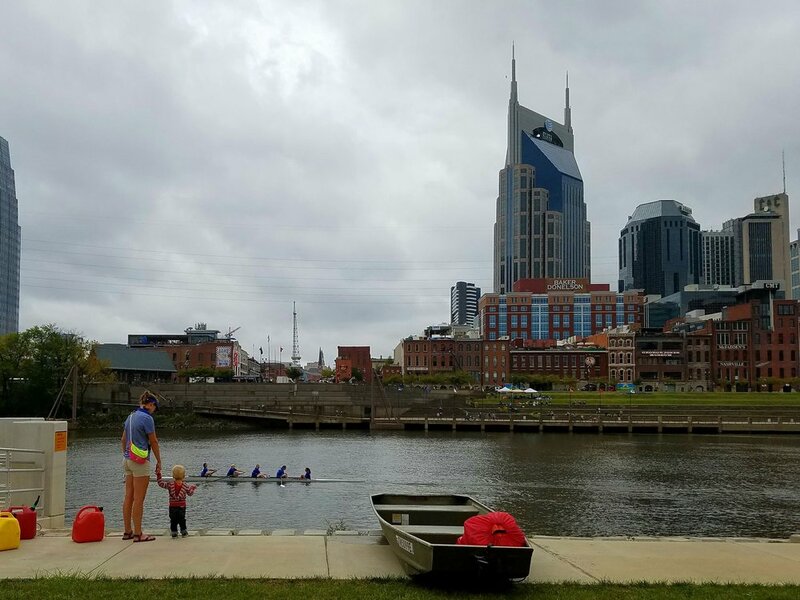 Outside of hosting the race, Nashville Rowing's 34 boats entered also had successful weekends - earning 28 medals across races for Middle Schoolers, High Schoolers, and Masters athletes. "We are very excited about how all our athletes, families, and community approached this race," Nashville Rowing Executive Director Eric Gehrke was quoted as saying, "Everyone in our family came out, put time in as racers, volunteers, or food coordinators, and that allowed every facet of our organization flourish. There are many races where the results are the shining star of how your program is doing, but the Music City Head Race was a holistic example of our young organizations progress over the last three and half years - in that we can host a large regatta, put successful boats down the course, and make sure everyone from every visiting team goes home with a positive impression of our city and community." For lots more images, hit the link to our Flickr page in the top right corner of the Navigation bar and enjoy! Middle School Mixed 8+: Great Effort!